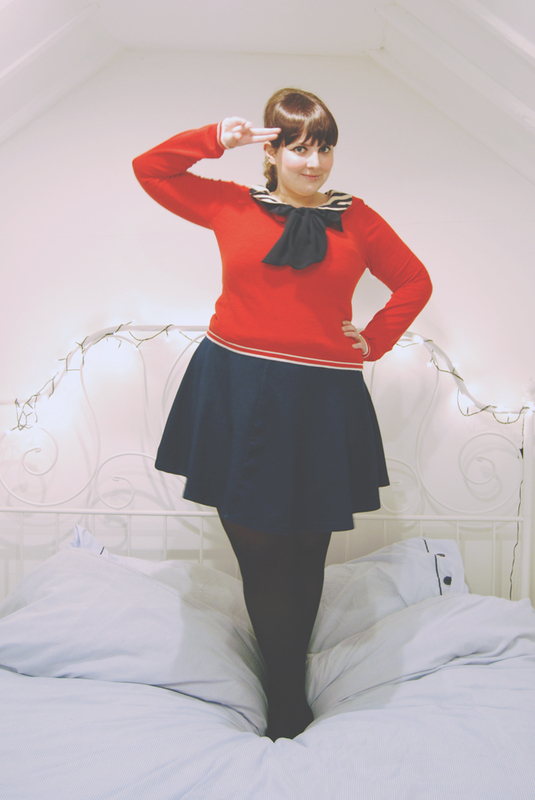 Today I am a sailor! I love dressing up like this from time to time. It's just like being a kid again and raiding my grandma's wardrobe. I hope you're all having lovely weekends. I'm off to Nando's and Primark today. What better way to spend a weekend? you look so good with the frige! Oh I love this! It's nautical without being super over the top! Hi, just discovered your blog. I love how you style and edit your photos, it gives them a lovely air of whimsy. Beautiful. OMG! This is such a cute outfit! LOVE it ;). Hope you have a fun day ;D.